WHO: All Hazelwwod School District and local private school students. Walking chaperone provided at Russell Elementary. 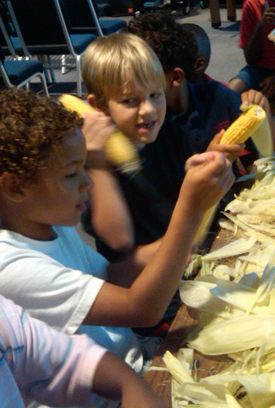 Scholars will have an early dinner meal upon arrival, complete homework with tutorial assistance as needed and participate in afterschool games and activities. 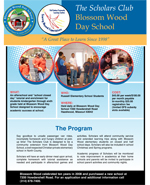 Scholars will attend community service and extended learning trips along with Blossom Wood elementary students on closed and half school days. 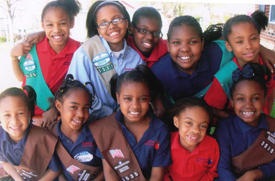 Scholars will also be included in school Christmas and Spring programs. 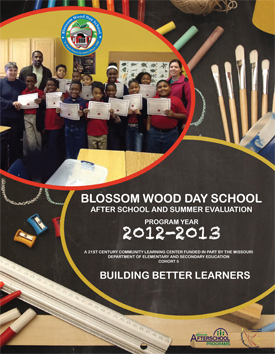 Blossom Wood celebrated ten years in 2008 and purchased a new school at 7200 Howdershell Road in Hazelwood, MO.